Last week I had the pleasure of participating in a webinar and chat with The Motherhood and The Vision Council. As a long-time glasses wearer and generally sunglasses friendly person, I wondered if they could really drop the knowledge on me. After all, it seemed like you either had eye problems or you didn’t and there isn’t really anything we can do about it. As it turns out, the simple act of wearing sunglasses with UBA/UVB coating can actually protect the eye from future long term damage. According to the council, this is especially important for our children. Children receive three times the annual sun exposure of adults, and they have an immature lens, which makes them especially susceptible to UV-related damage. UV exposure at any age can cause both short and long term vision problems – many of which can’t be reversed. Age – Children receive three times the annual sun exposure of adults and research shows that their young eyes are especially susceptible to UV-related harm. Unlike the mature lens of an adult eye, a child’s lens cannot filter out UV rays and so more radiation reaches the retina. Decades of sun exposure make older eyes much more prone to visual problems and disease from the cumulative damage of UV radiation. Decreased concentrations of protective molecules in the eye, also related to age, may be implicated, too. Eye color – Some studies suggest that blue eyes are at more risk for UV damage than brown eyes. The protective pigment melanin may be the key reason since blue irises have less of it. Geography – Location can have an effect on UV levels. In the U.S., for instance, southern communities near the equator and elevated cities with a thin atmosphere receive more intense solar radiation. UV rays are also more harmful at the beach and near mountains, where surfaces like the sand, water and snow can reflect anywhere from 25 to 80 percent of UV, almost doubling exposure in some cases. The season and time of day – UV intensity also changes with the season and time of day. Protective eyewear is especially important in summer months and during 10 a.m. and 4 p.m., when UV levels are at their highest. However, UV radiation is always present when the sun is up and protective eyewear is necessary, no matter if it is sunny, cloudy, winter or summer. This is a big deal! In essence, the eyes can actually be sunburned. I had no idea! 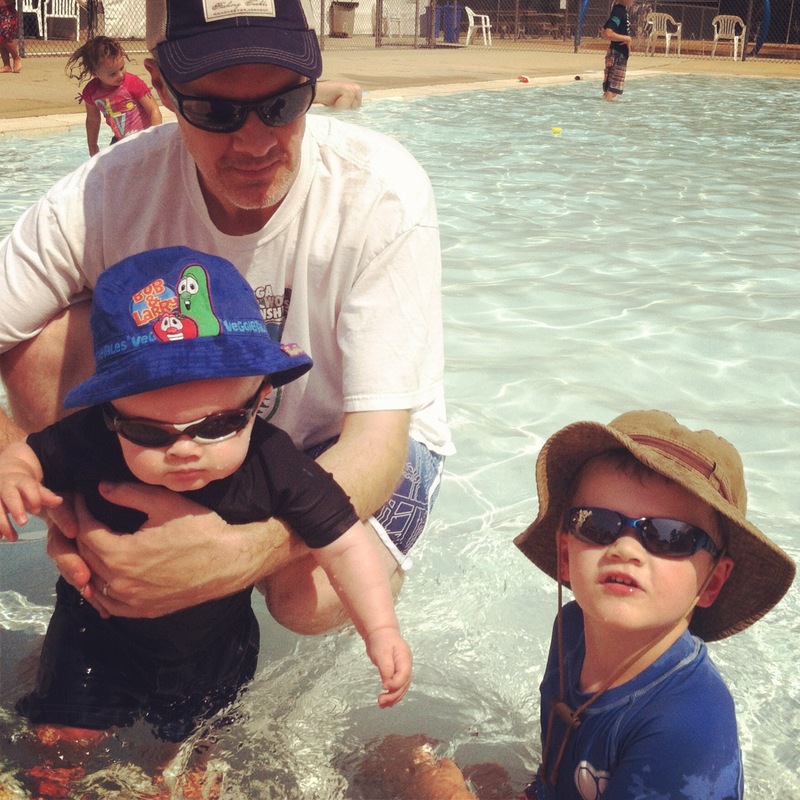 We can’t wear sunscreen on our eyes, but we can certainly wear sunglasses and train our children to as well. 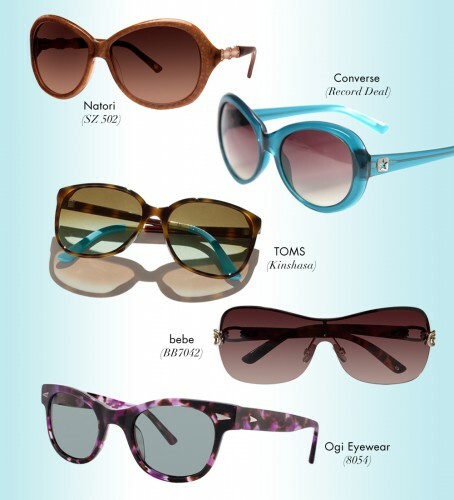 In the past, I always thought of sunglasses as a luxury or fashion item. Something for my own comfort. I really never knew of the health benefits. Quality retailer – sunglasses don’t have to be expensive but they MUST have UVA/UVB coating in order to protect your eyes. Skip the street vendors because they are not reliable. – To determine if your sunglasses are reliable, look for a little sticker or tag on the lens that shows compliance with criteria set by the American National Standards Institute (ANSI). The label “UV 380” covers all UVA and UVB rays. Depending on your lifestyle, you may want to invest in polarized, impact-resistant, or anti-reflective lenses. To learn more about lenses, check out The Vision Council website. How can I get my child to keep sunglasses on? As many of us moms were shocked at some of the reasons we should be requiring our children to wear sunglasses, many of us were scratching our heads trying to figure out just HOW to get the kids to keep them on. I know that Oscar will only tolerate them when it is super sunny out. But UVA/UVB rays are just as harmful on cloudy days. 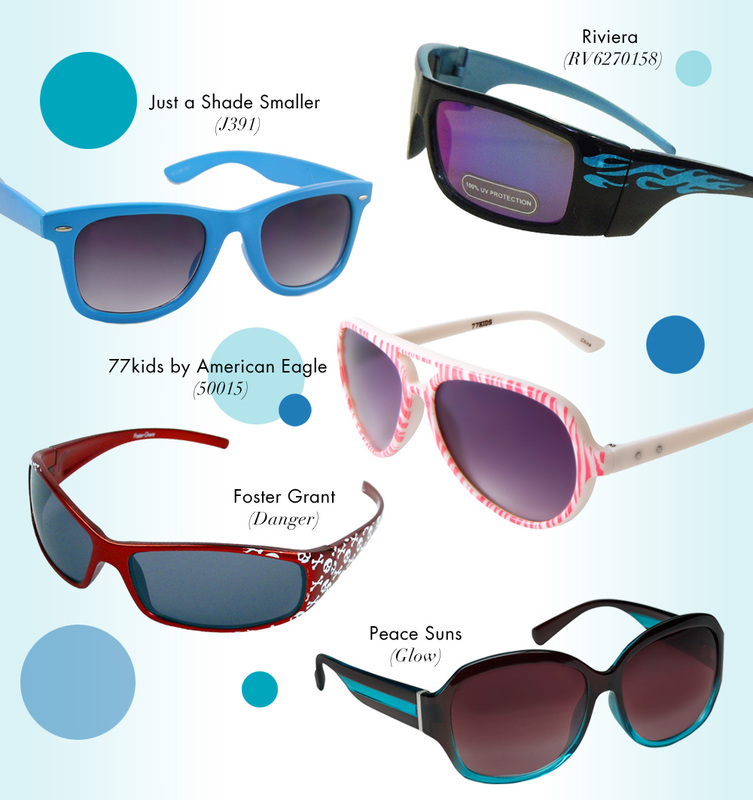 Jamie Shyer of Zyloware Eyewear had these suggestions for helping kids get the hang of wearing sunglasses. As parents, we always have to be creative. If your kids like stickers, you might try letting them put two to three stickers on glasses to give them some independence. I recommend limiting sticker use to the frames so that you don’t cover any lines of sight. For little ones, buy an inexpensive pair of sunglasses and outfit their favorite stuffed animals in them. When their favorite friends are being sunwise, they will be too. You should also try wearing your sunglasses every time you have the opportunity. Not only is it a healthy habit to get into – it will also reinforce this behavior in your children. Most of this information was news to me. And I am not going to say we are perfect at wearing sunglasses. In fact, we are far from it. But now I have a major incentive to step up our game and will definitely be taking the matter more seriously! Does your family regularly wear sunglasses? Disclosure: My participation in this program is sponsored by The Motherhood and The Vision Council. All opinions are my own (unless otherwise stated). I am so glad I had the chance to learn about the importance of protecting our eyes! Now go get some sunglasses! They look so cute in their glasses.